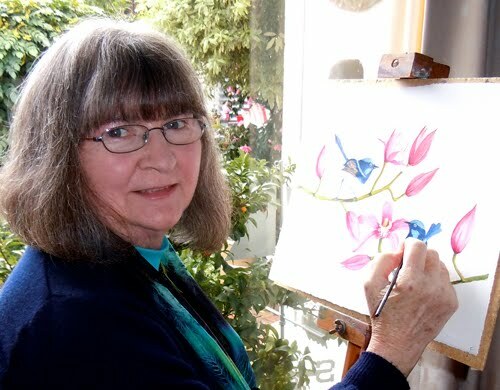 Working on the watercolour "Blue Wrens in orchids" just putting in final touches. This original painting is available and is beautifully custom framed at $595.00. Art prints are also available mounted and ready to frame-in small,approx A5 size print $60.00 ($95.00 framed) Medium -approx A4 size print $90.00 or($160.00 framed)and large-approx A3 size print $130.00 or ($195.00 framed) Orders taken - email me on gtavener@tpg.com.au - I do not take credit card and direct payments into a bank account is the best way to pay - once payment has been received, the prints will be sent promptly.